Coritech provides years of engineering expertise, giving our clients the reliability and integrity they require in all custom control system designs. Accuracy, dependability and accountability is provided with all Coritech control systems. Our company offers a complete set of skills to be able to fully engineer, design, build and test a custom control system or product. 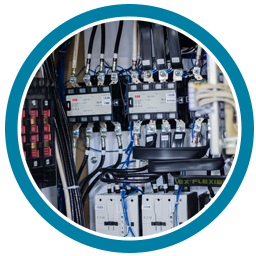 We design and build custom industrial control systems utilizing leading manufacturers of programmable logic controllers and supervisory control and data acquisition software. Coritech utilizes top-of-the-line gas detection and sensing technologies paired with advanced controls and monitoring to give our clients an unrivaled complete gas detection system. 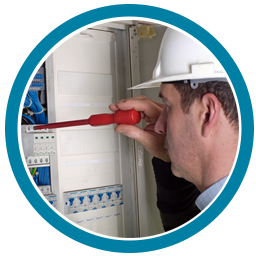 Our experienced team of engineers and technicians will work with you to complete maintenance checks on your gas monitoring equipment. Turn-key in-house panel design and fabrication of industrial control panels, repairs and retrofits to existing systems. Coritech provides skilled engineers and technicians to assist with the installation of new systems, troubleshooting, repairs and on-site support to keep your operation or plant running 24/7. Programmable logic controllers (PLC), embedded systems and HMI/SCADA software specialist.